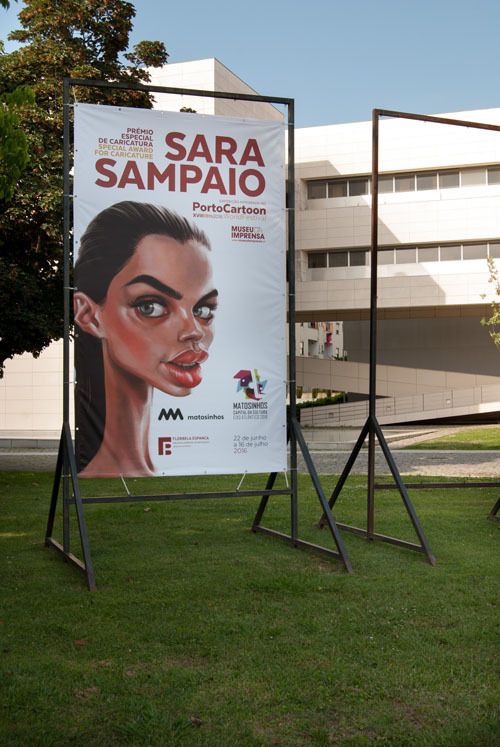 It is with a great pleasure and honor that at the PortoCartoon Festival 2016 I was awarded the first prize for my caricature of Sara Sampaio, Portuguese model best known for being a Victoria's Secret Angel. Based in Oporto, Portugal, since 1999 PortoCartoon became one of the world main Festivals of humor and design reaching hundreds of cartoonists from around the world. Sara Sampaio's parents and Marzio Mariani (author of the caricature) in front of the artwork that won the First Prize for the caricature contest at the PortoCartoon Festival 2016. What can I say? It was really a great experience being part of this Festival that takes place over a week and involves various places in the city. The artists and their artworks are taken literally out in the streets of Oporto to bring the people and the city closer to this art that is unfortunately still not entirely known and appreciated . Caricature Party at the amazing Bento train station in Oporto. Bento train station Oporto, a spectacular view. Thanks in particular to Luìs Humberto Marcos, Director of the Museu Nacional de Imprensa and founder of the Porto Cartoon Festival, a wonderful person and a great professional who made this experience possible. I would also like to greet and thank all the talented artists and wonderful new friends coming from around the world I've had the opportunity to meet during this festival. 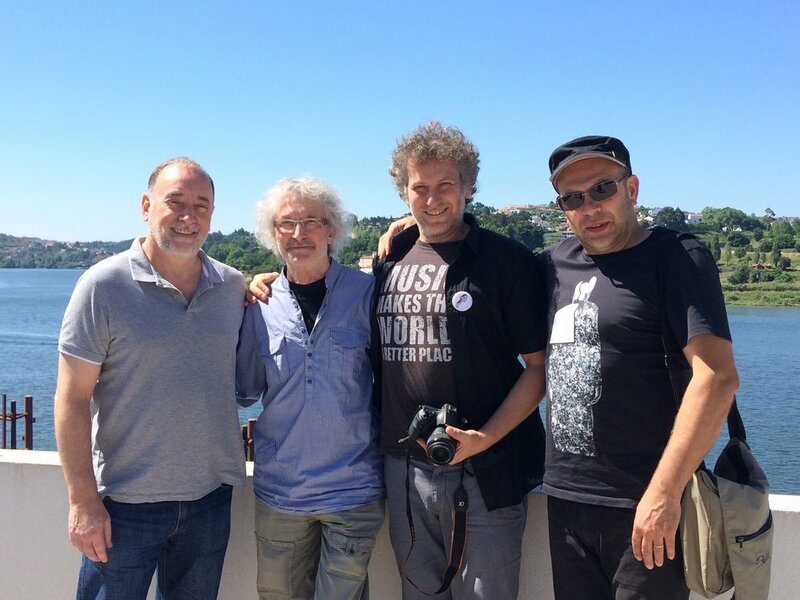 Artist Marzio Mariani and Luìs Humberto Marcos, founder of Porto Cartoon Festival.